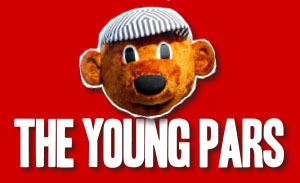 With 25 points from 25 games, Partick Thistle arrived at East End Park looking for points to take them off the foot of the table. 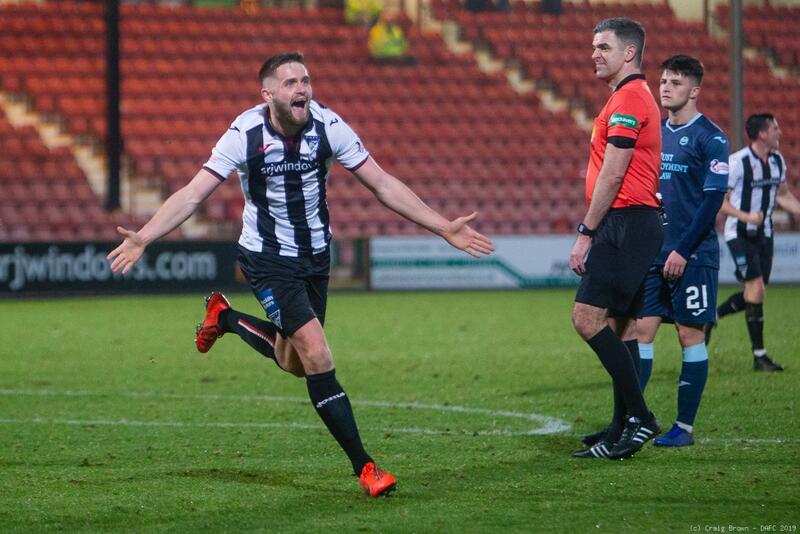 Following two wins Dunfermline we’re seeking for another three points to close the gap on fourth placed Inverness Caley Thistle five points above them in fourth. 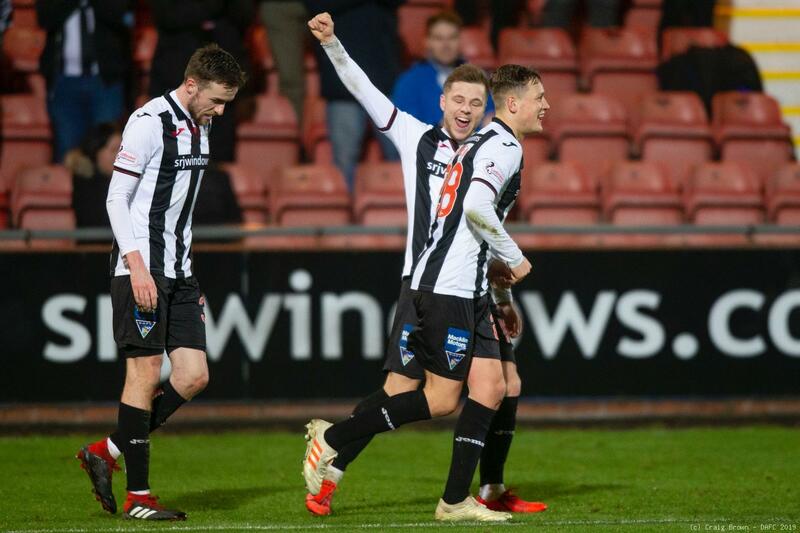 Stevie Crawford made two changes to the side that started at Somerset Park on Saturday, Kallum Higginbotham and Louis Longridge coming in for James Vincent and Aidan Connolly. 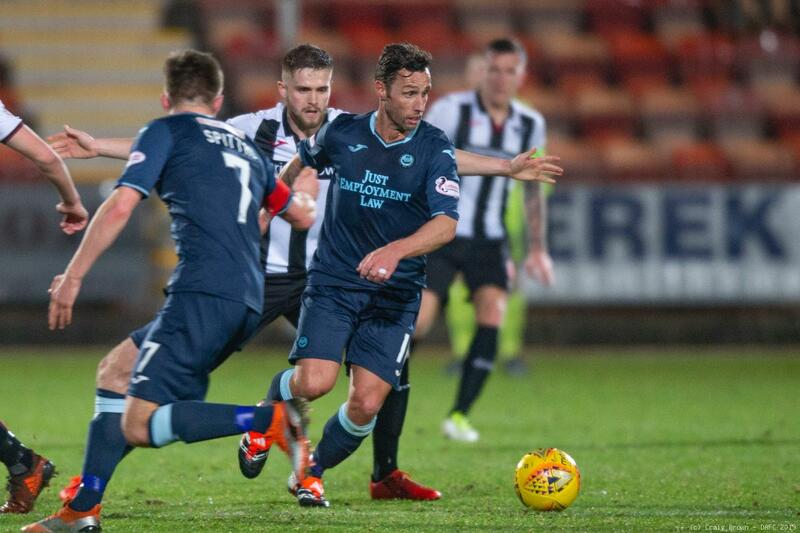 For Thistle Gary Caldwell brought in Scott McDonald and Steven Saunders for Aidan Fitzpatrick and Stuart Bannigan. 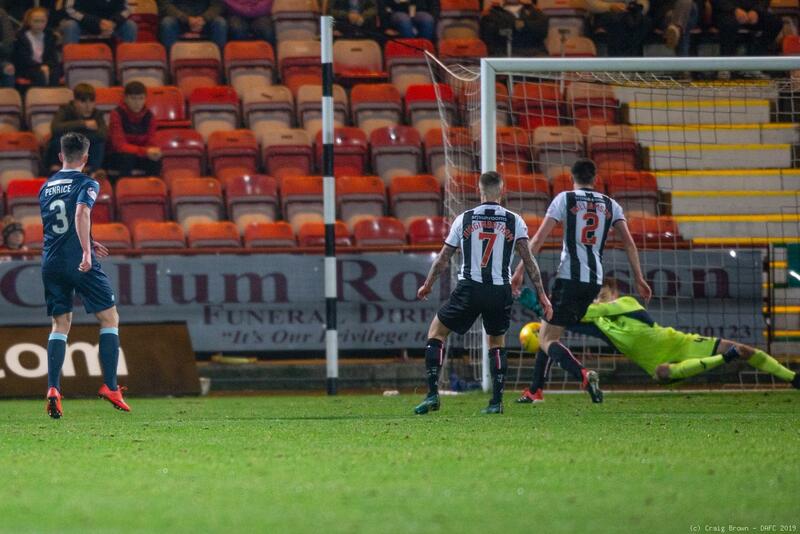 McDonald got the match underway with the opposition attacking the goal in front of the McCathie Stand. 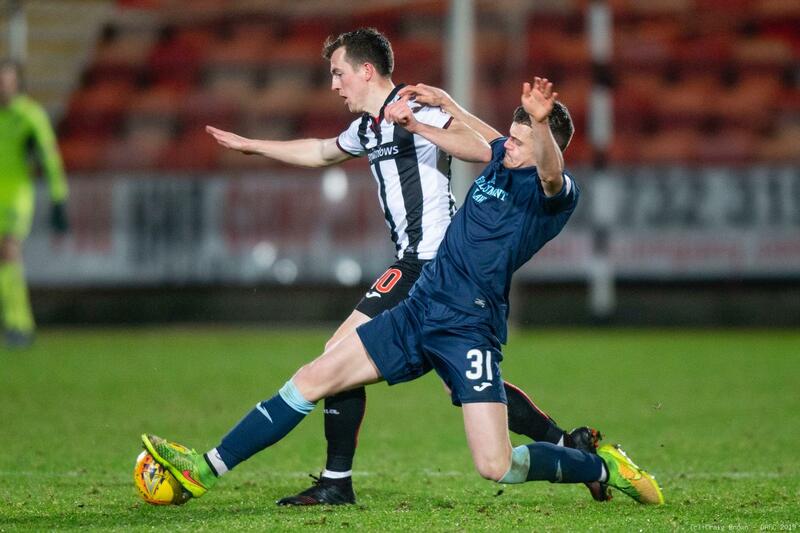 Craig Slater got in an early cross but too high for Blair Spittal. 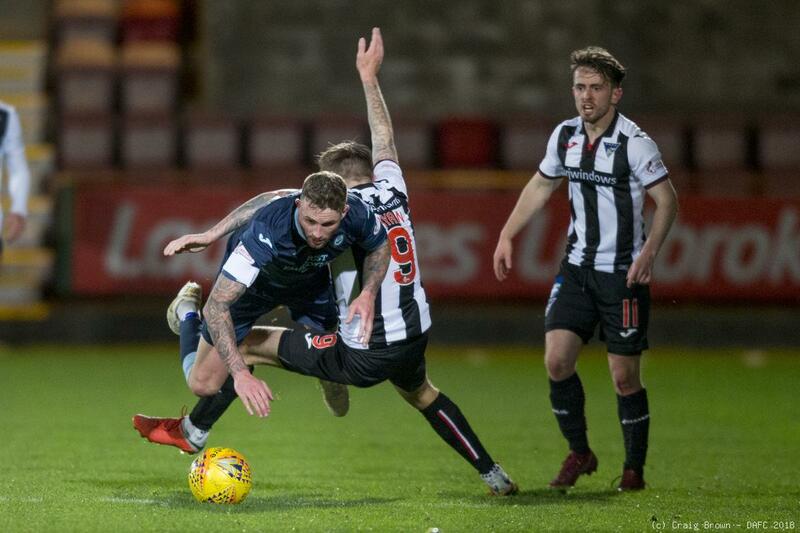 Dunfermline then took the game to Thistle, Bruce Anderson forcing Jack McMillan into conceding a corner on the left but Ryan Blair was too heavy with his delivery. 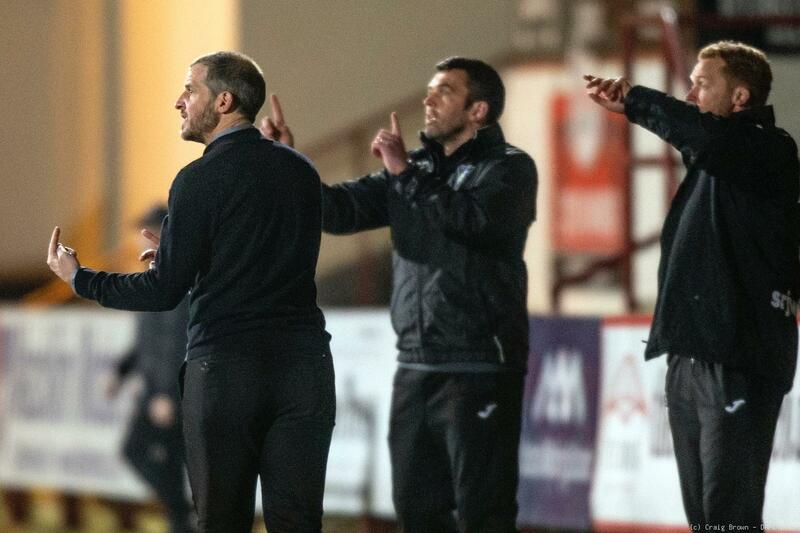 Higginbotham then fired a ball across the box before a mix up between Lee Ashcroft and Tom Beadling led to a 11th minute Thistle corner that they failed to capitalise on. Next minute a slip up by Ryan Williamson allowed James Penrice a free shot at goal from 15 yards out and fortunately Ryan Scully stopped the powerful effort. 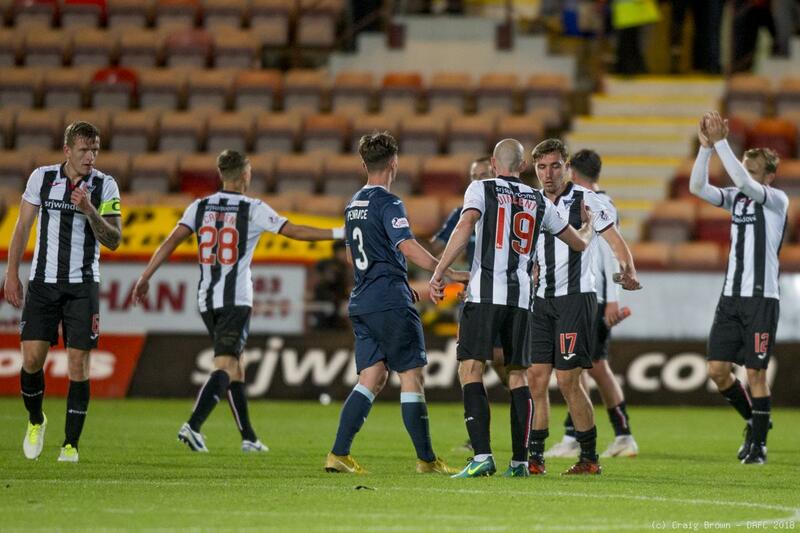 Dunfermline threatened on the break. Higginbotham ran on to Thomson’s pass and cut the ball inside for Longridge. In turn he swiftly switched the ball right for Williamson and Anderson received the cross eight yards out but just could not turn and shoot. There was a speculative shot from distance in 19th minute by James Craigen and he was only just off target. 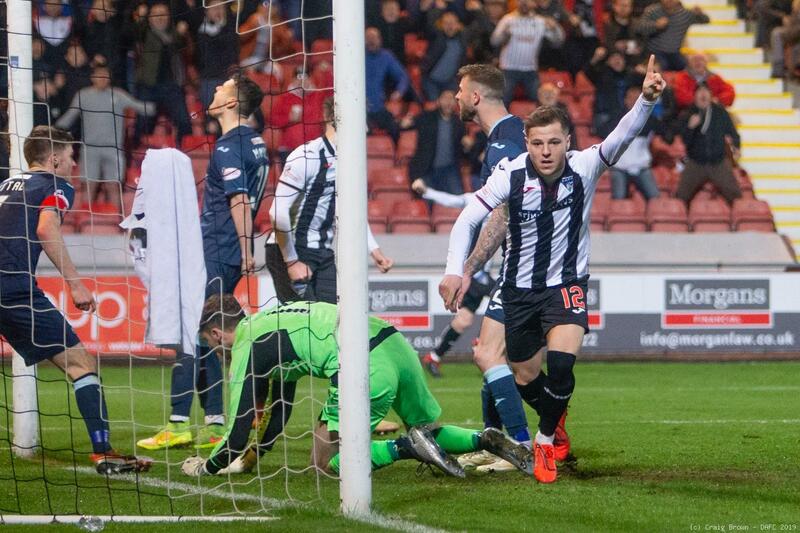 In 25 minutes Dunfermline broke again this time as a result of a timely Blair interception. He sent Higginbotham away and he picked out Longridge 20 yards out on the left side but despite a twist and a turn he couldn’t get in a shot either. 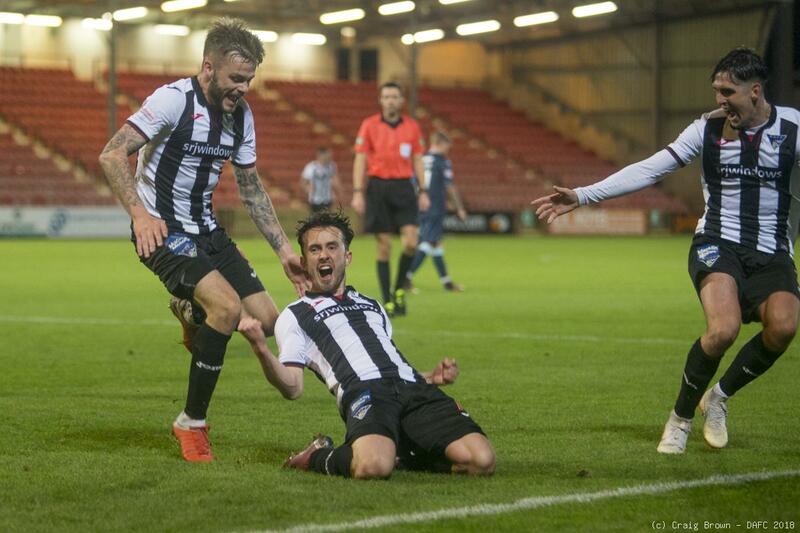 Partick continued towards the Pars goal with both McMillan and Saunders pushing up. A corner from the right was overhit and wasted. Neither side was really bossing the match not helped by some wayward passing by both. At last ten minutes before the break some lovely controlled Pars play saw the ball eventually threaded through by Longridge to Anderson and the on loan Don sent a low shot tantalisingly outside the left goalpost. The half came to an end with nothing more to note. Thistle had had the better chances most through mistakes made by the Fifers. Must do better in the second half. Thistle responded forcing two corners, the first from the left headed behind by Devine the second from the right cleared on to Christie Elliott and behind for a goal kick. 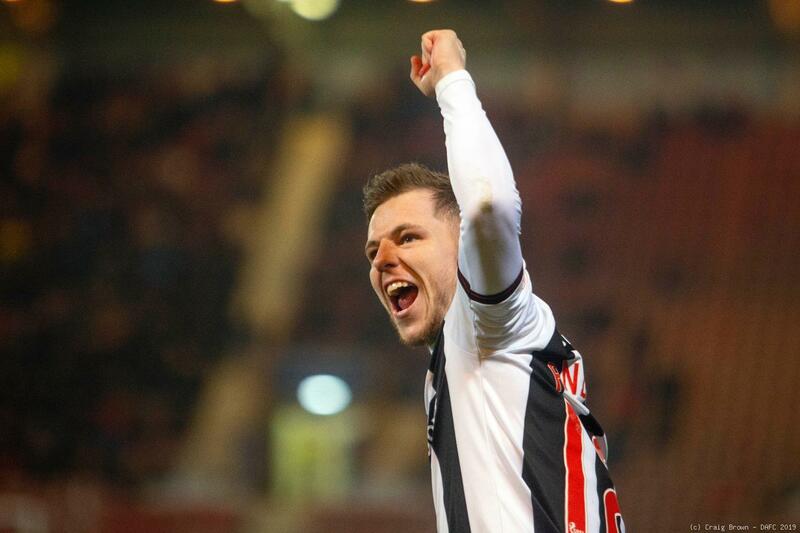 Aidan Fitzpatrick was the first substitute of the night, replacing Steven Saunders. Blair conceded a 59th minute corner but when Slater sent that over from the right it was cleared out as far as Harkins but his up and under dropped behind for a goal kick. 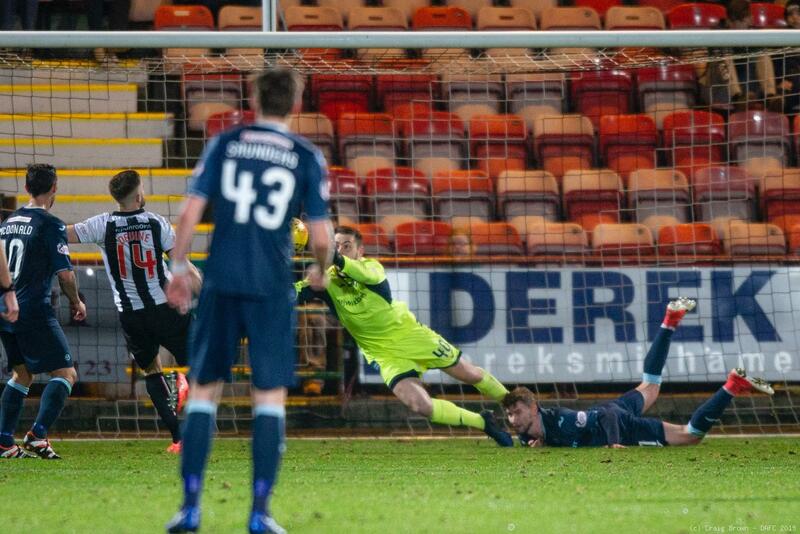 Another corner followed soon thereafter and although Blair cleated it was not until Spittal nearly got away a shot. Back at the other end and Higginbotham put over an inviting ball from the right but Anderson could not get enough on his header to trouble keeper Conor Hazard. Then on 65 minutes a touch from Higginbotham sent Anderson into the box. 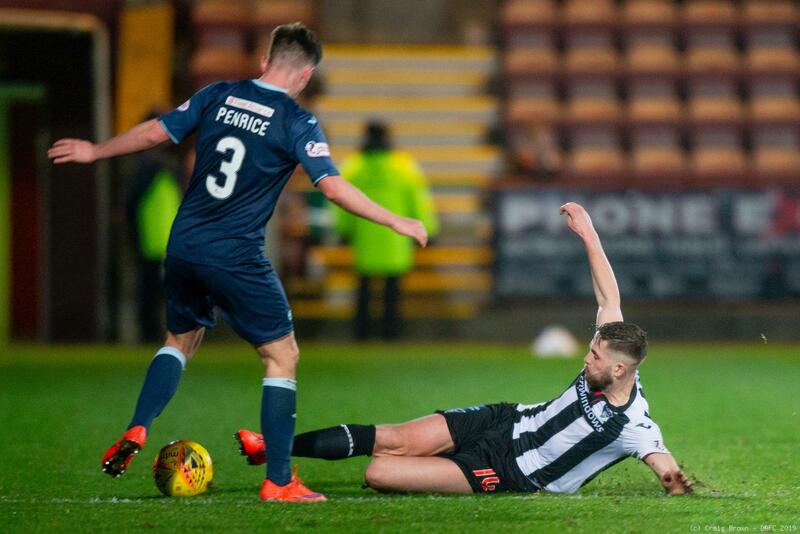 Elliott put in the tackle, Anderson went down but the referee Greg Aitken claimed the defender got the ball so play on. 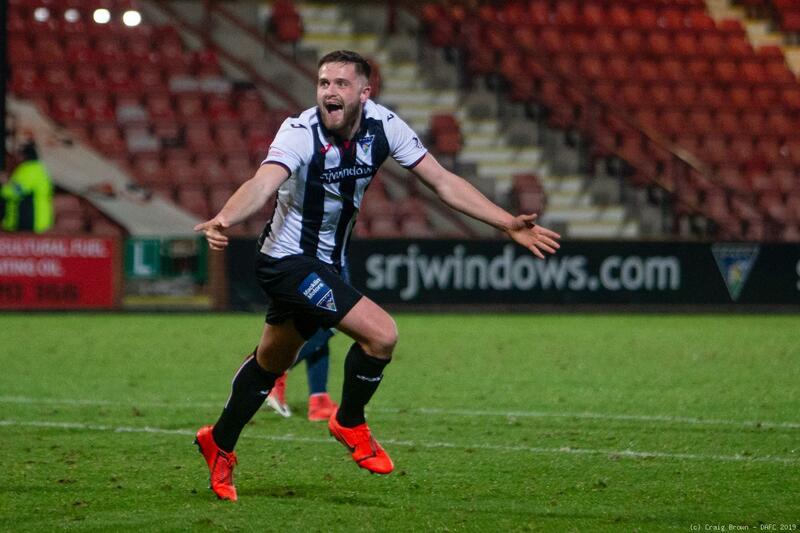 Partick made their final two substitutions in 66th minute introducing Lewis Mansell and Soulemayne Coulibaly for the strike force of Doolan and McDonald. 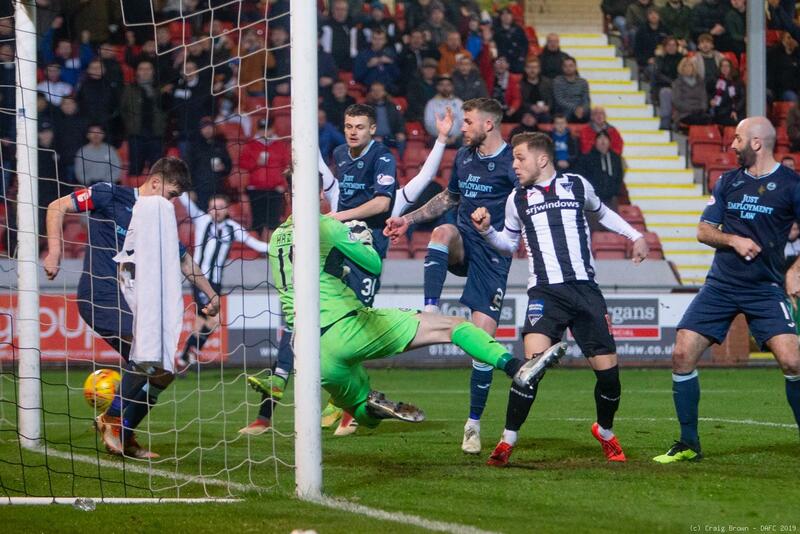 The men from Maryhill certainly began to show a bit more mettle but Dunfermline were desperately unlucky with a 74th minute breakaway when Thomson’s shot from an acute angle on the right was deflected behind for a corner. 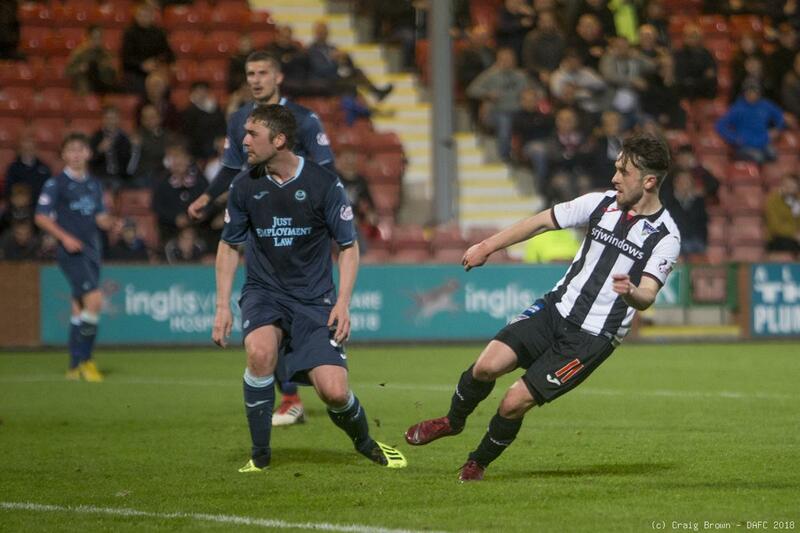 As the clock ran down Thomson tried to send Williamson away down the right but his pass was too close to an opponent. Then with six minutes remaining in replacing Kallum Higginbotham, seventeen year old, Matt Todd came on for his home and league debut. The contest was over and the three points secured. 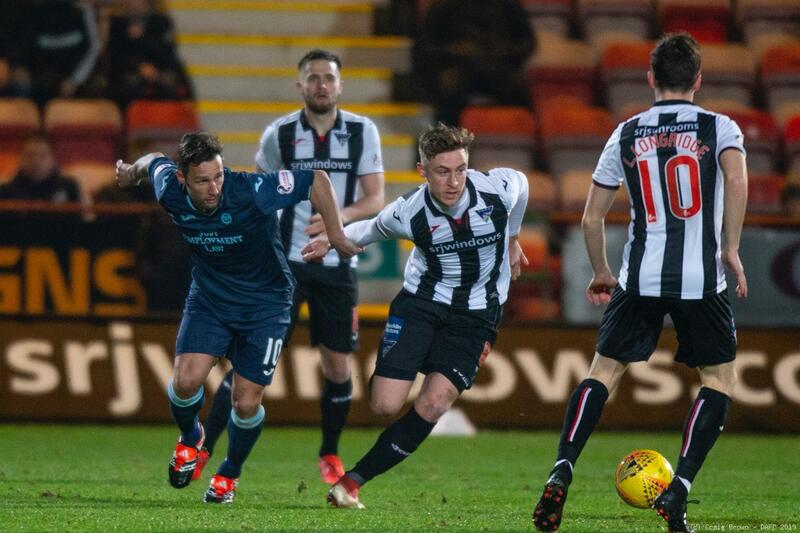 Dunfermline closed the gap on Inverness to just two points courtesy of a 1-0 Dundee United win. Check out the Gallery for more photo's -- the images below will scroll through automatically. 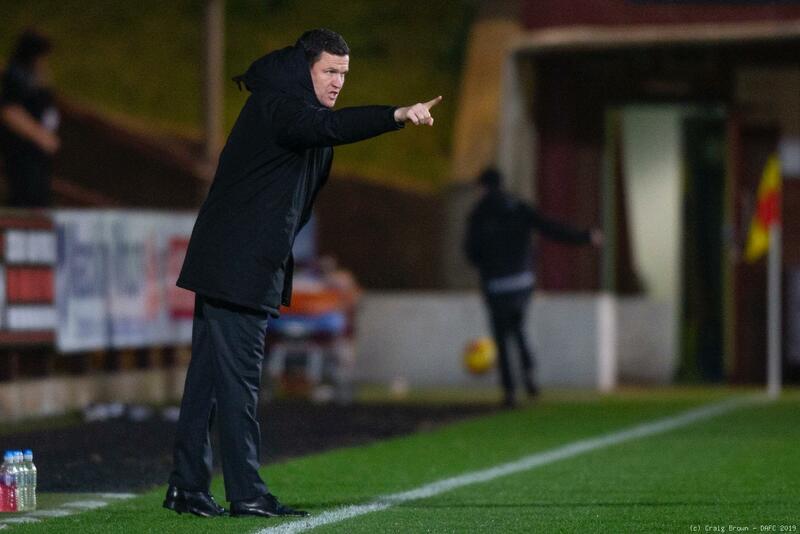 On Tuesday night Gary Caldwell’s Partick Thistle are the next visitors to East End Park, fresh on the back of a 4-2 home defeat to Ross County - a game “by far the best we have played since I took over” claimed Caldwell. 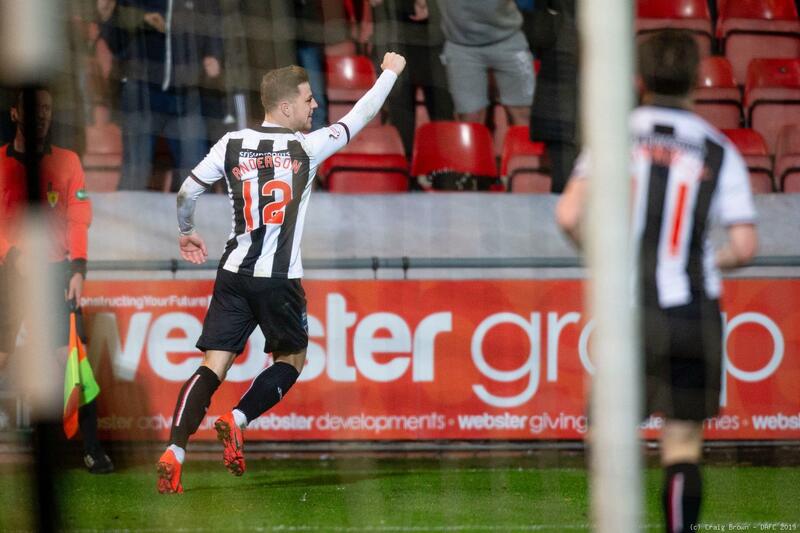 While Thistle 2-0 up at the break, suffered a second half revival by Ross County the Pars were themselves finding the way to take their own three away points away from Somerset Park. Having hit a bit of form both sides have won three of their last seven games and with the visitors currently sitting at the foot of the table everyone can expect this to be a fiercely contested match. 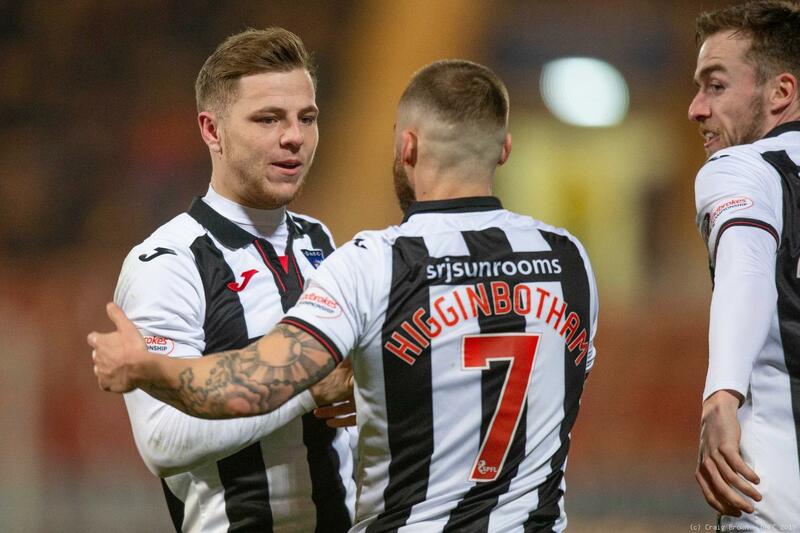 Up to fifth place on the league, Dunfermline following two successive wins will be hoping to keep that momentum going and make good use of the spirit that is building both on and off the park. 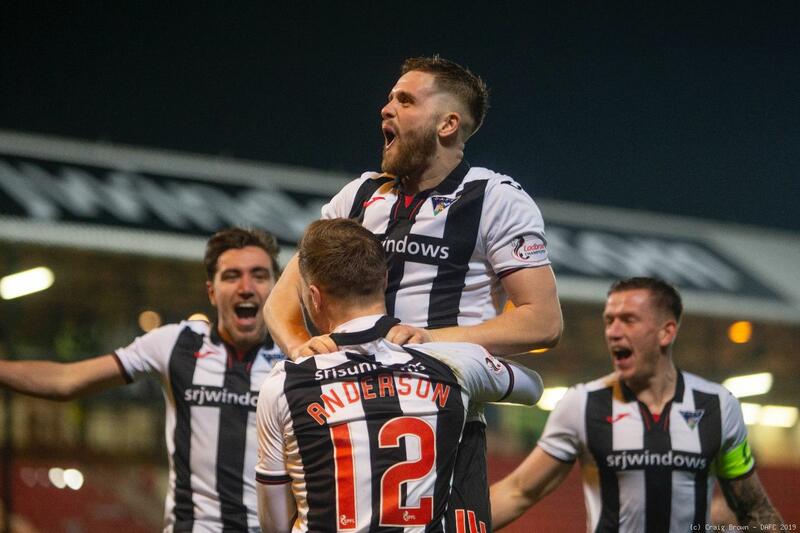 Dunfermline have an edge on the history in league competition against Partick Thistle with 34 wins to 27 losses in previous league meetings. 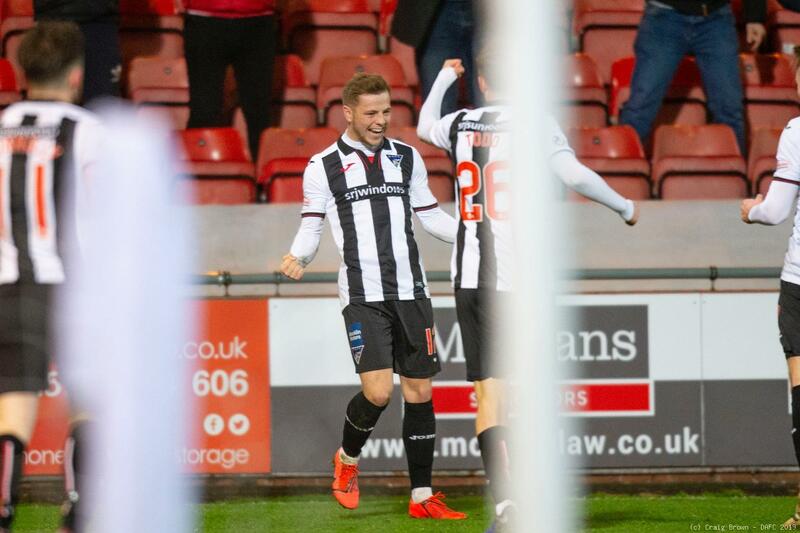 Aidan Connolly’s first goal for Dunfermline was enough to take all three points in this first home league win of the season. 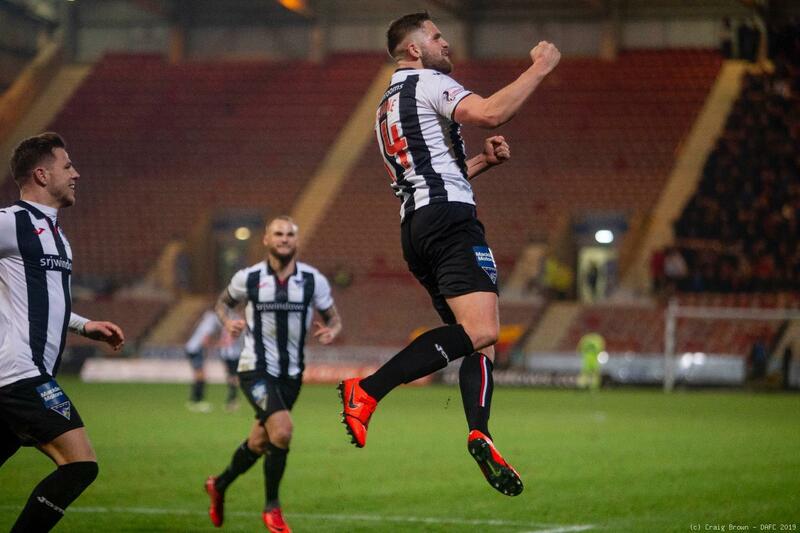 DUNFERMLINE: Lee Robinson: James Craigen, Lee Ashcroft (c), Mark Durnan, Jackson Longridge: Louis Longridge, James Vincent, Malaury Martin, Aidan Connolly (Myles Hippolyte 90+2): Andy Ryan (Joe Thomson 80), Faissal El Bakhtaoui. 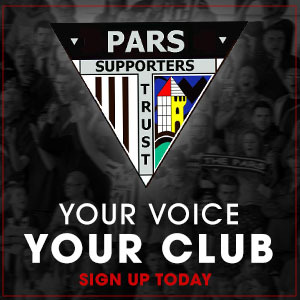 SUBS NOT USED: Tom Beadling, Ryan Williamson, Danny Devine, Robbie Muirhead Cammy Gill (GK). 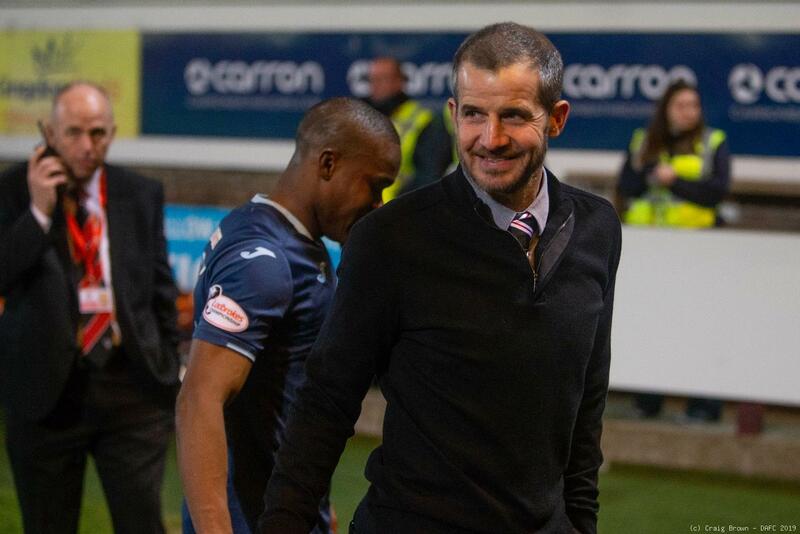 PARTICK THISTLE: Cammy Bell, Christie Elliott (c), Niall Keown, Sean McGinty, James Penrice, Tam Scobbie (Chris Erskine 73), Stuart Bannigan, Craig Slater, Blair Spittal (Andrea Mbuyi-Mutombo 78), Miles Storey, Kris Doolan (Jai Quitongo 67). 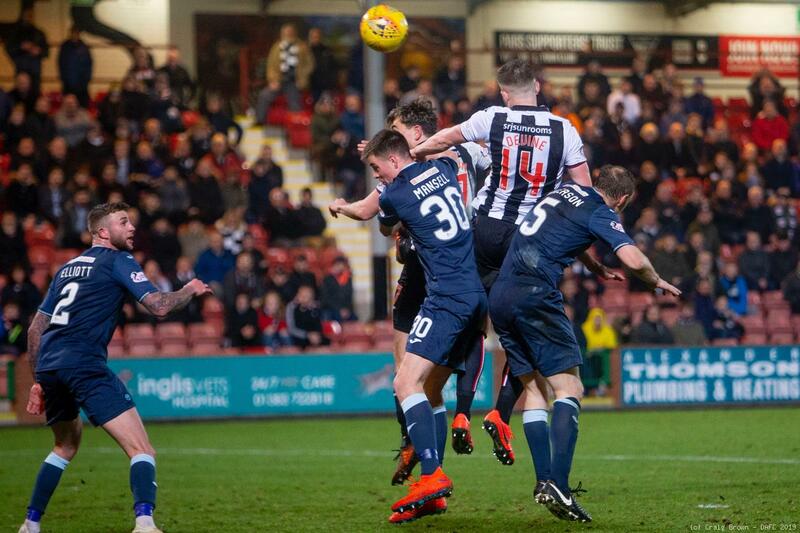 Unbeaten in 2019, Partick’s defeat to Ross County on Saturday was their first in eight games. 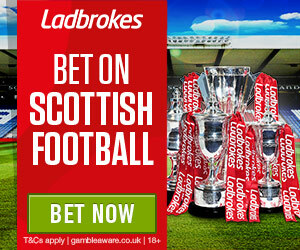 They have lost eight of their twelve away league games this season, winning only at Alloa and Inverness. 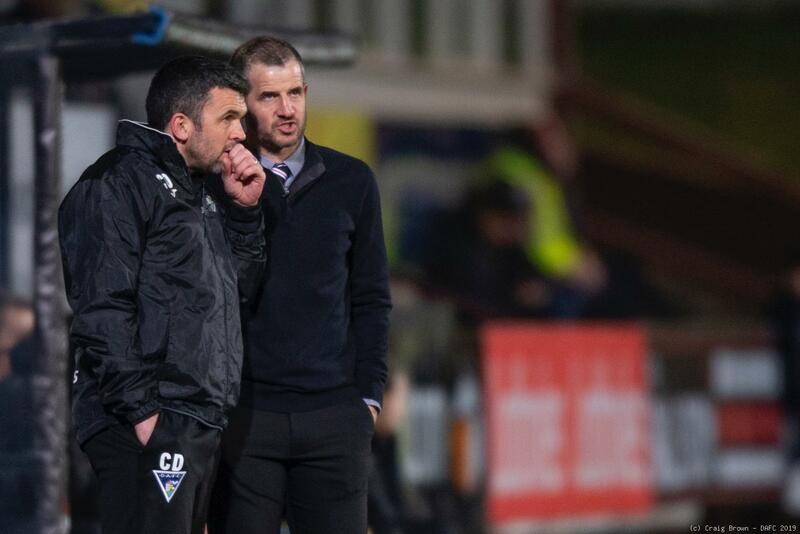 Thistle have taken eleven points from their last six league games as opposed to Dunfermline’s ten. 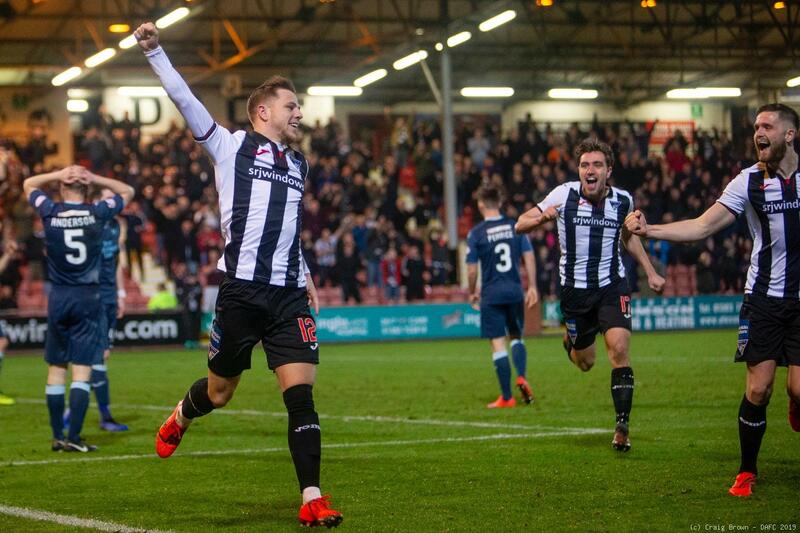 The Pars have won just three of their last eleven league matches but back to back wins against teams in the top four will be a confidence boost going into this game. 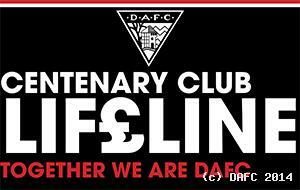 DUNFERMLINE (v Ayr United): Ryan Scully: Ryan Williamson, Lee Ashcroft (c), Danny Devine, James Craigen: Tom Beadling: James Vincent, Joe Thomson, Ryan Blair: Aidan Connolly (Louis Longridge 66), Bruce Anderson (Myles Hippolyte 82).